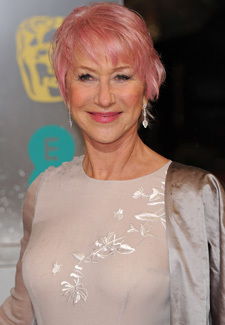 Fresh from her victory on the BAFTA red carpet, Helen Mirren has announced her latest movie role. Helen will star in the heavily-anticipated prequel to Monsters Inc, Monsters University, as Dean Hardscrabble. ‘As a great fan of all things Pixar, I was honoured and exhilarated to be asked to appear,’ she jokes. ‘What a liberation! ‘As an actor, you have two important tools to your trade: your voice and your body. It has been easy over the years to find good roles for my voice, but it has not been so easy to squash my many legs and my wings into the various costumes I have been forced to uncomfortably wear, disguising my true form. Find out more about Helen’s stunning new hair-do here.